Hundreds of Muggles lined up to catch a glimpse of Daniel Radcliffe, Emma Watson and Rupert Grint walking the red carpet at the final, star-studded premiere, where Emma told "Extra," "This is almost more emotional for me because I know this is the last premiere I'm doing. This is really the last one." Emma said her fans would probably be surprised to discover she loves to play ping-pong. "I'm amazing at table tennis. I'm like obsessed. It's kind of a nerdy thing I've been keeping that on the low, and I've been saving it for... [she checks the microphone flag] 'Extra'!" Watson, looking stylishly glamorous for the big finale, said of her Bottega Veneta gown, "I made an effort. I figured all of these people were going to show up... I should put some time in." 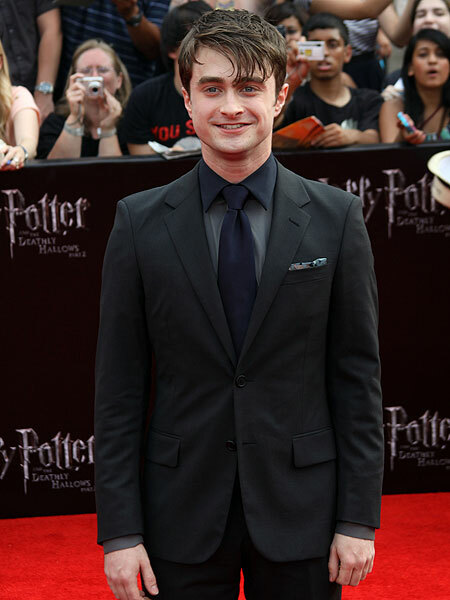 Radcliffe chimed in, "Emma got pretty emotional at the London premiere." The actor admitted everyone was feeling emotional that day. "J.K. Rowling finished me off with the last line of her speech" -- in which the author said, "Hogwarts will always be there to welcome you home." Radcliffe continued, "I was like, 'Oh Jesus!' But no, it's been 10 years, I think we certainly have the right to get a little emotional." The final chapter began... in July. Experience the magic of Butterflies Alive! as you walk through a beautiful garden filled with flowers, luscious greenery, and more than 1,000 free-flying butterflies. Watch as the butterflies flutter past you, and see them as they drink nectar from nearby flowers. Butterflies Alive! will offer many memorable opportunities, so bring your family, friends and cameras.